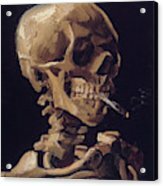 There are no comments for Skull With Cigarette . Click here to post the first comment. 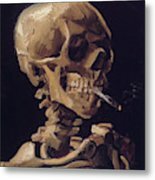 Vincent van Gogh had great influence on 20th century art. He was troubled and suffered bouts of mental instability. He was little appreciated in his lifetime and produced over 2,100 artworks. He did not begin painting until about 1881 and this was his first major work. The somber colors give no hint of his later brightly colorful paintings. He had not yet discovered the French Impressionists. This work was first exhibited in The Hague and from this time he began to gain interest from Paris. 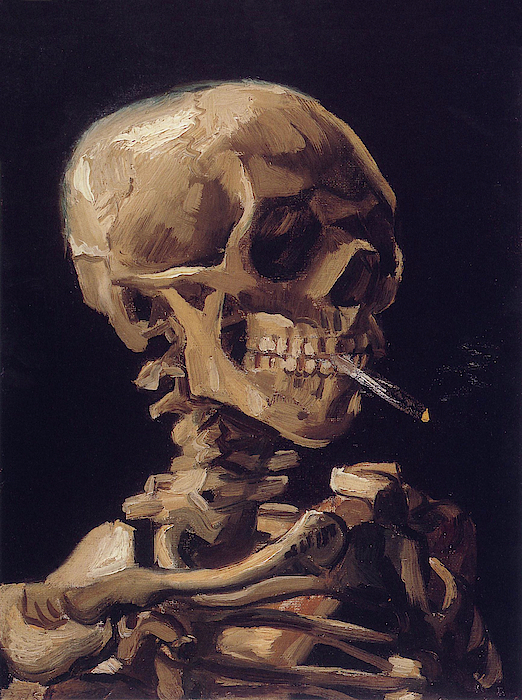 He was then painting in Nuenen in North Brabant where eventually the parish priest forbad models to sit for him due to Van Gogh's questionable reputation. 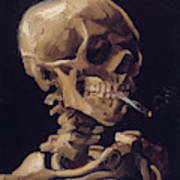 The painting is 12.6 inches by 9.6 inches in size and is in the Van Gogh Museum in Amsterdam. The artist died four years after this production.